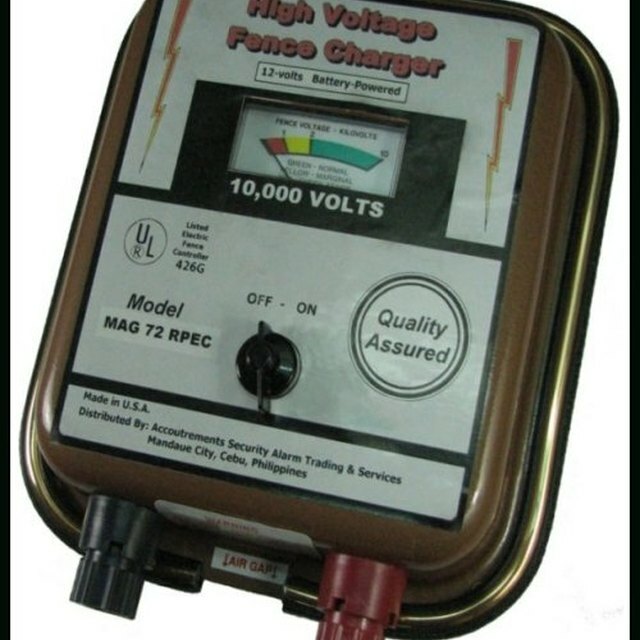 An electric fence charger, sometimes referred to as a fence energizer, provides the power to electrified farm and pasture fences. The charger sends out electrical pulses at whatever voltage the manufacturer has rated and designed it to produce. Testing the voltage of a fence energizer is a straightforward task, requiring only a digital fence voltage tester, which you can buy at a farm supply store. Power on your fence energizer. Many fence energizers are equipped with a small electric light that blinks each time the unit sends a pulse of electricity down the fence wire. If the light is blinking, your fence charger is on. Insert the grounding probe on your voltage tester into the soil. Push the entire bare metal surface into the ground. The grounding probe will be attached to a wire connected to the base of the voltage tester. Touch the metal contact to the fence wire. The contact may be a metal probe built into the top of the tester, or it may be on the end of a short wire or cable. Watch the digital display, and note the voltage reading. The digital display will flash with the voltage each time the energizer sends out an electrical pulse. Compare the voltage output you observed with the digital tester against the manufacturer's voltage output specifications for your fence charger. If the actual power output is about the same, your fence charger is working properly. If there is a wide discrepancy, or if the tester does not record any voltage, your unit may require service. If the charger is very old you may have to replace it.